What exacty is happening here? Well, "It's always happening more than it ever has been happening" (The Mammoth Book of the Rolling Stones). "It's always happening. But be still now! They're coming up, and all we can do is to keep them in the dark as well as we can" (William Dean Howells, "The Unexpected Guests"). 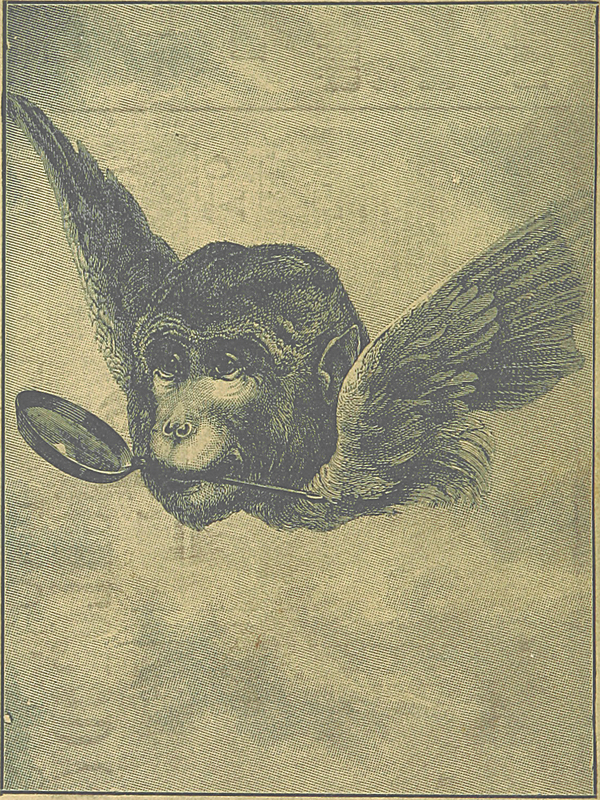 INSTRUCTIONS: Click to make it hallucinatory. 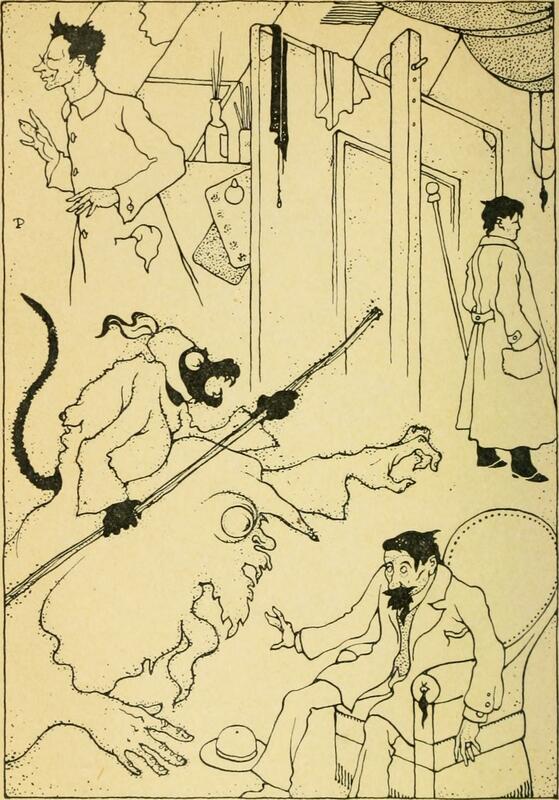 From Le Rire, 1897. "The 'laughing' feeling when taking gas." 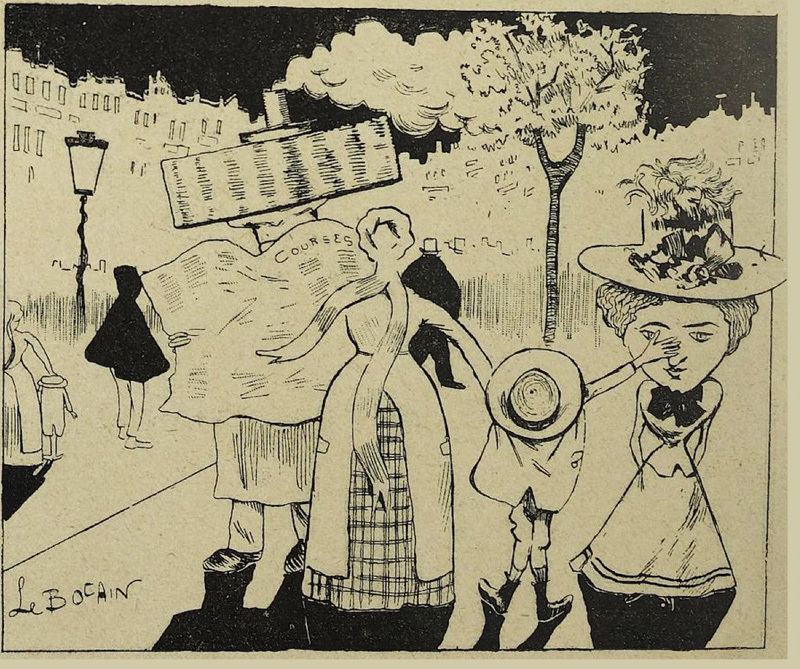 From The Sketch, 1911. 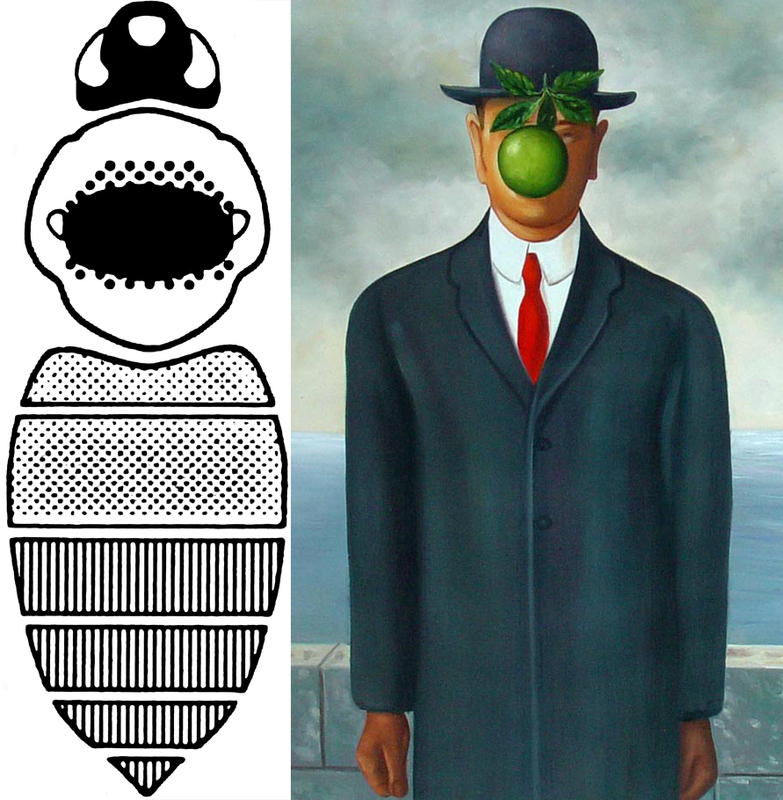 René Magritte's "The Son of Man" (1964 ) finds a precursor in the bumble bees of the Kashmir Himalayas. 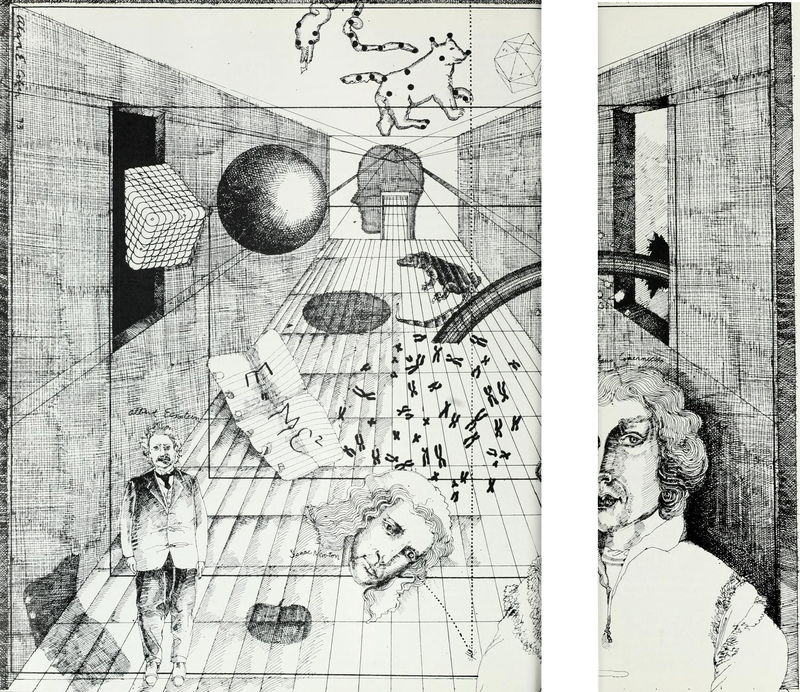 Our image (left) is from 1954 and appears in the Bulletin of the British Museum (Natural History) Entomology. It goes without saying that "Apples depend upon bees to pollinate their flowers so that the tree will develop fruit." This is not a pipe. 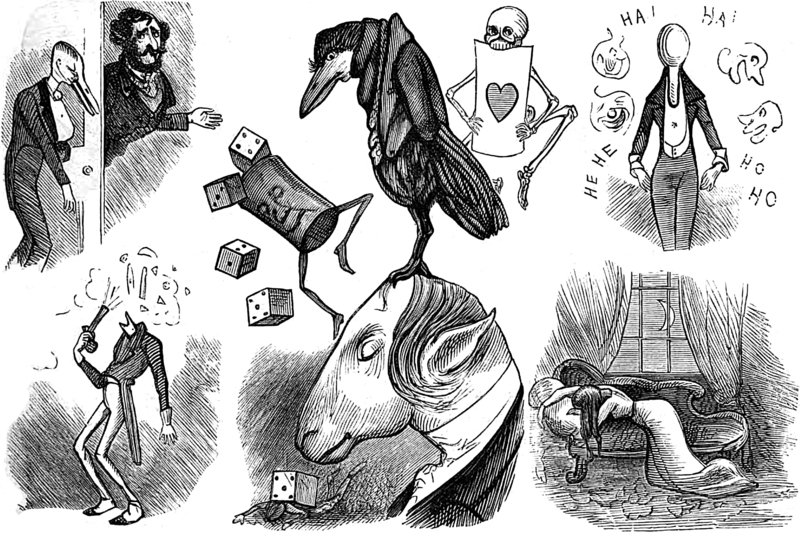 From Fun magazine, 1864. 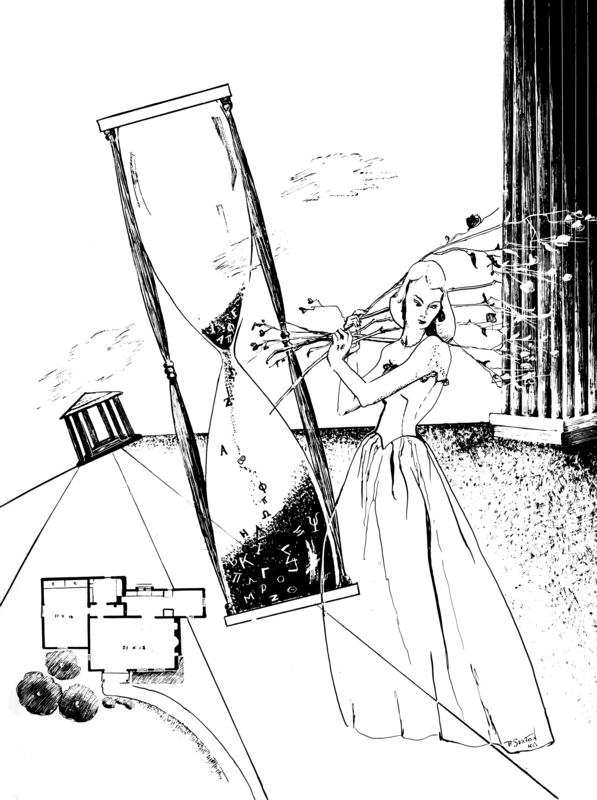 A quarter century before Dali's melting watch in "Persistence of Memory," there was this melting clock tower in The Book of Spice by "Ginger" a.k.a. 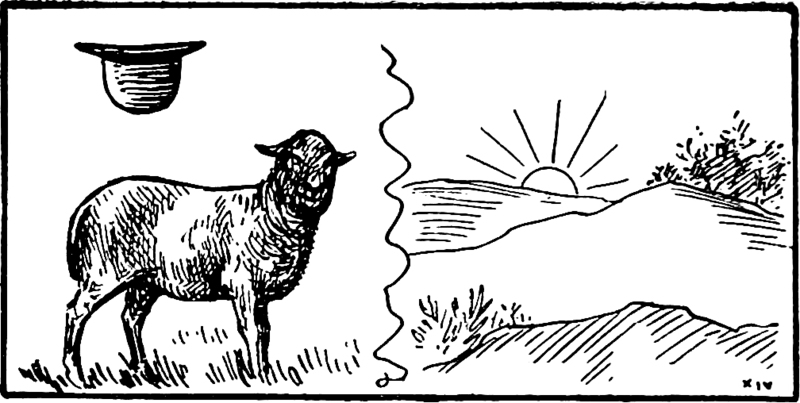 Wallace Irwin, 1906. And he dying near by, dying in life, living in death, spending and wasting and dying each time he was with me, each time a step nearer death and death a thought dearer. He was hungry once with that phosphorescent look about him and asked to be kept alive and I gave him stony gifts; I heaped those stones above him, I laid him in that bed of boulders. We were held together at last by slanderous bonds, by ridicule, hatred, contempt, but there were older bonds than those, the sulphur, the phosphor, the salt. 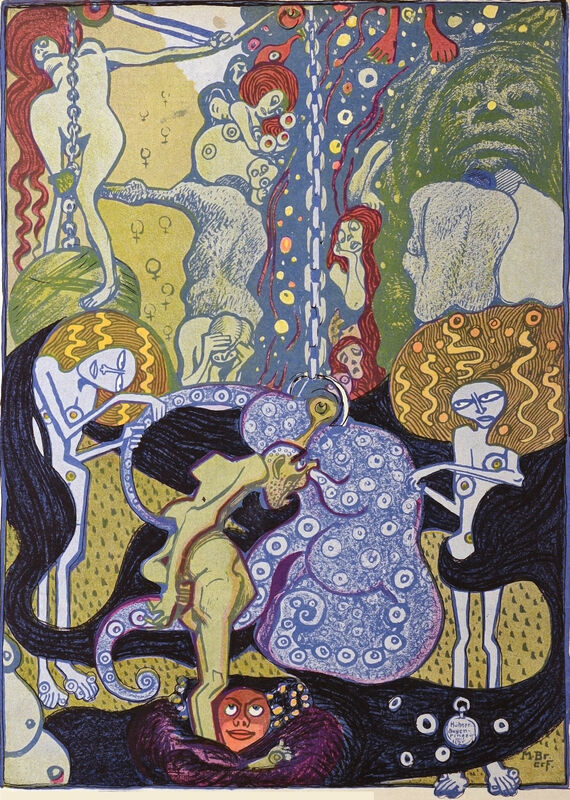 Now lying in a small graveyard near bones of kings and beaten gold, he is learning the length of the horizon and drawing perhaps where the worms twine a straighter line than ever before; drawing perhaps the straight wand of Hermes, with the snakes making spirals around it to right and left, the red and the blue, gyres that I must try to compas. Lying there far from the shrine of a pillow, he is echoing that distant day when the first words he spoke were Listen to me! 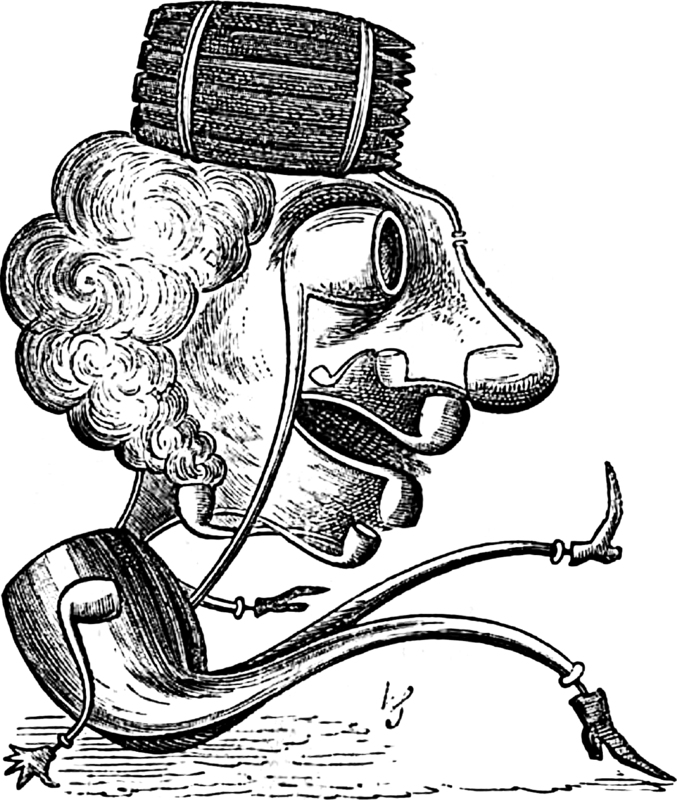 And crying a far cry out of a six-foot cradle he is saying again Listen! 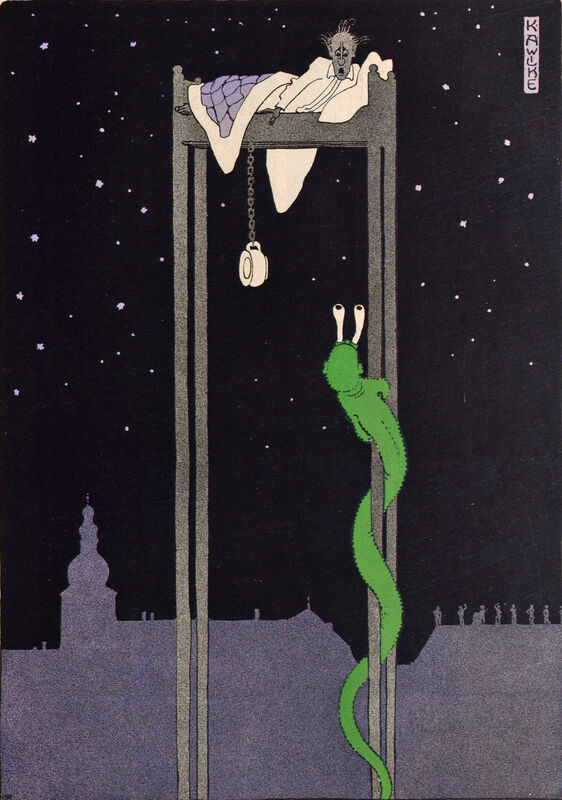 From Phosphor by Friedrich Freksa, 1912. 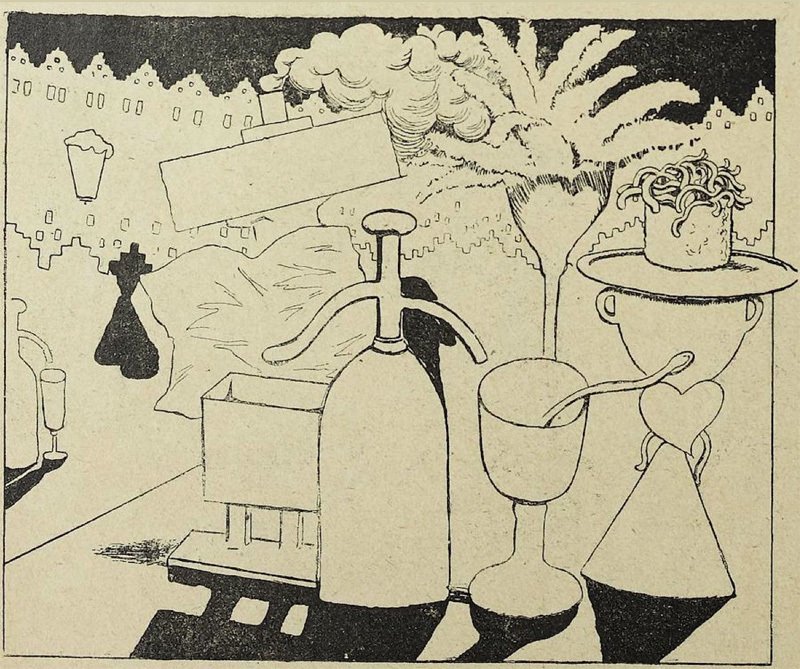 A surrealist illustration from a 1906 issue of Cosmopolitan magazine. 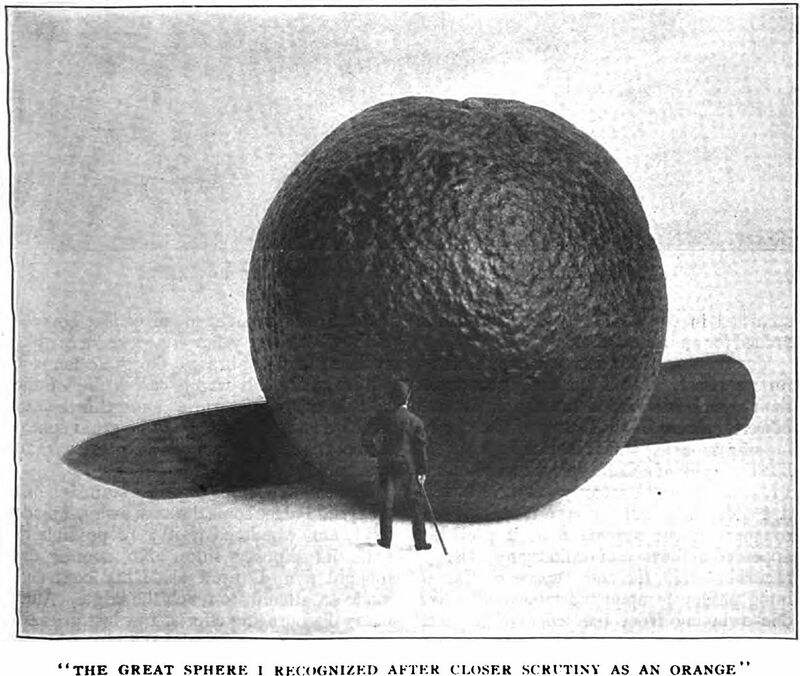 The caption reads: "The great sphere I recognized after closer scrutiny as an orange." 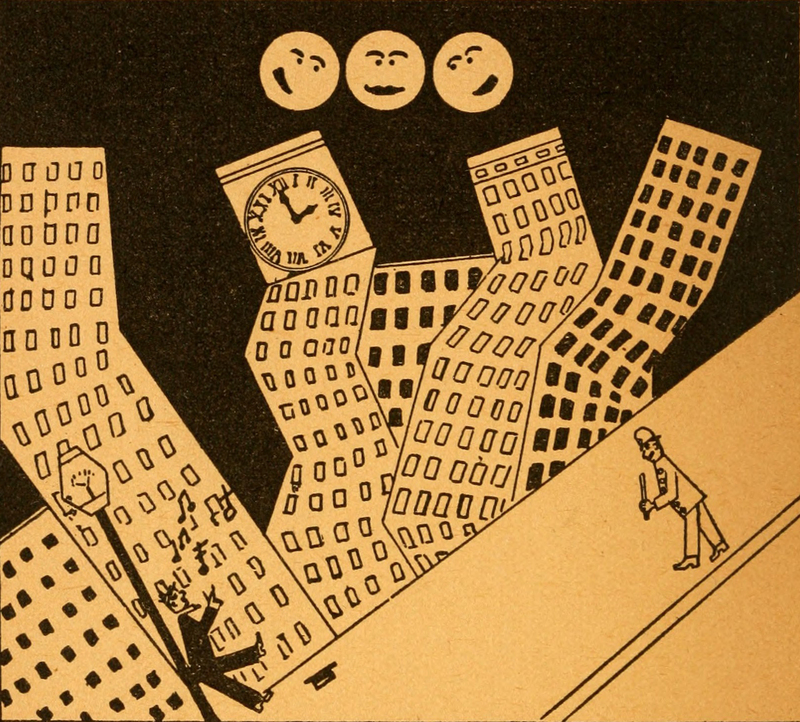 A surrealist illustration from a 1906 issue of Cosmopolitan magazine. 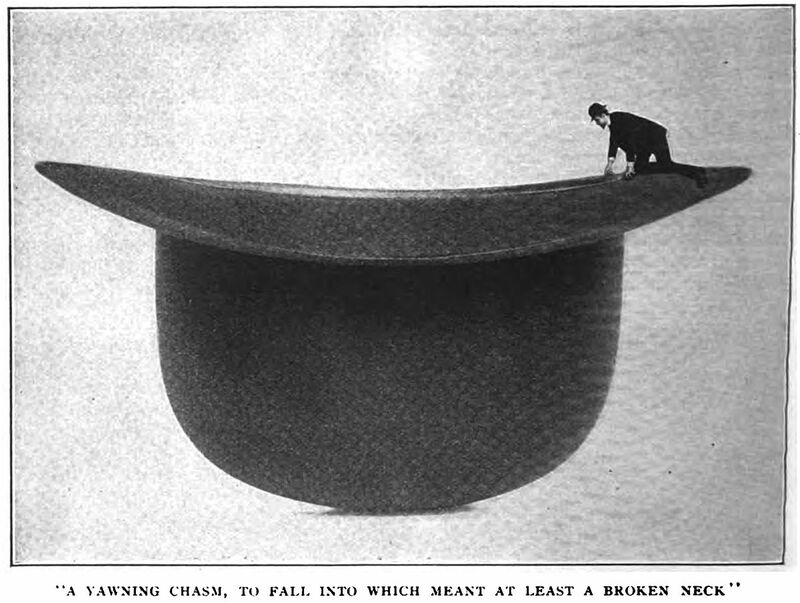 The caption reads: "A yawning chasm, to fall into which meant at least a broken neck." 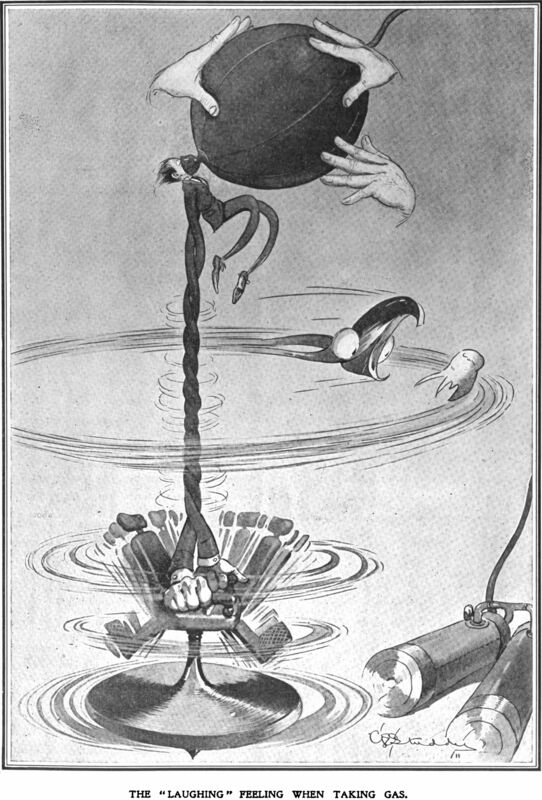 A surrealist illustration from a 1906 issue of Cosmopolitan magazine. 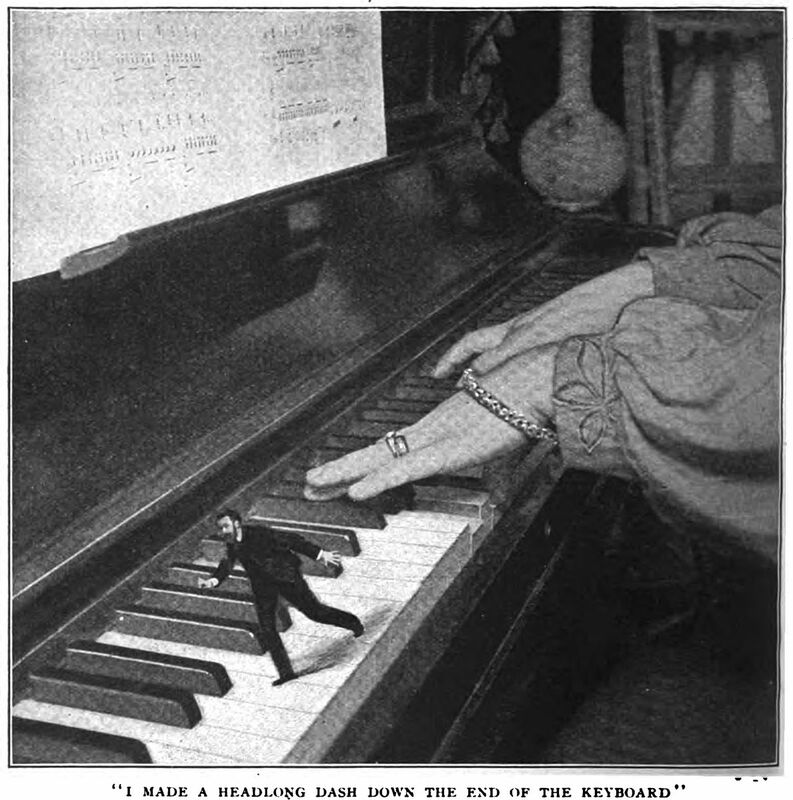 The caption reads: "I made a headlong dash down the end of the keyboard."